These numbers reflect estimated student expenses for the 2019-2020 school year. Amounts will change slightly from year to year, but as the cost of college increases, the scholarship packages will correspondingly increase. Your official financial aid award will be included in a letter directly from Caltech. Outside funding is used to reduce the Work-Study award and the minimum student summer work contribution. If the student can document travel costs that exceed the standard allowance, outside funding may be used to cover the documented travel costs. If the outside funding exceeds those three components, the excess will be used to reduce grants awarded to the student. Health insurance is not included in the standard student expense budget. If the student cannot waive out of the Caltech Student Health Insurance Plan then they will receive an Institute Grant to cover their enrollment. The plan costs $2,463 for the 2018-2019 school year -- $821 per Insurance Term. Institute scholarship will only cover the standard travel allowance listed in the student's estimated cost of attendance. Student must maintain Satisfactory Academic Progress as defined by the Institute (see Catalog). Employment award is Caltech Work-Study. The Student Savings contribution will vary based on total assets. It will never exceed $1,000. 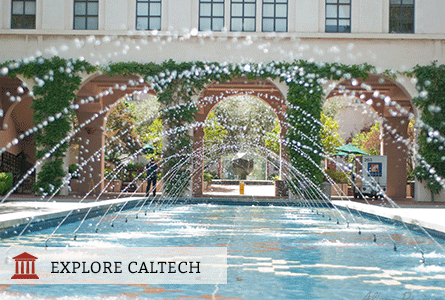 Caltech is need-blind for U.S. Citizens and Permanent Residents. The college meets 100% of the demonstrated need for all admitted students. Learn more.